New Bvlgari fragrance joins the Bvlgari collection for men at the beginning of 2008. It will delight the part of male population fond of fragrances which bring the freshness of sea. who wanted to capture the natural freshness and power of ocean. The fragrance features seagrass Posidonia Oceanica, neroli, grapefruit and white cedar. 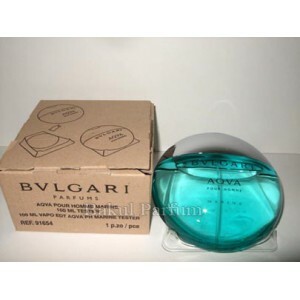 Beli tester parfum original Bvlgari Aqva Marine for Men sekarang, harga termurah di Indonesia! !